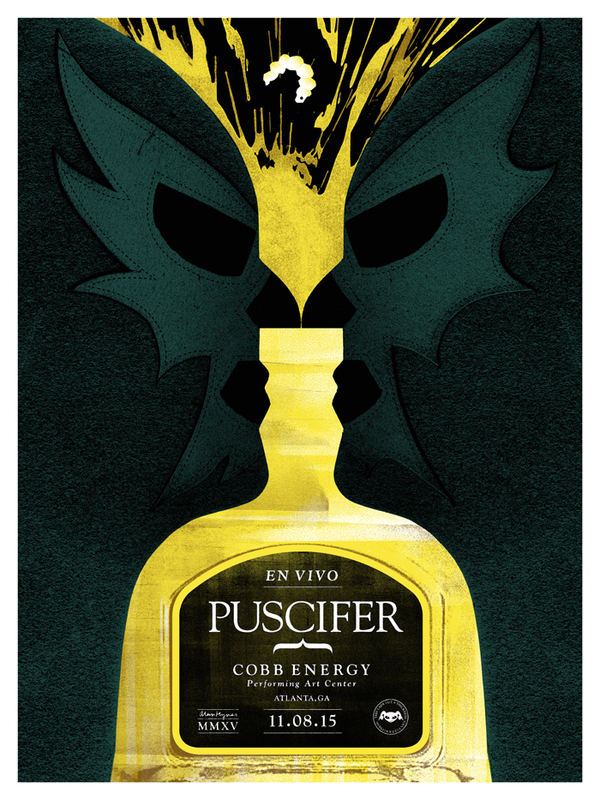 New concert poster for Puscifer, a side project of Maynard James Keenan from the Grammy Award-winning band Tool. Touring with a Lucha Libre themed stage show and new album, this image is my variation of the famous Rubin’s Vase illusion and features two luchadores preparing to battle it out over the Mezcal worm. Posters are 18″ by 24″ screenprints with a metallic ink and are available in my shop.